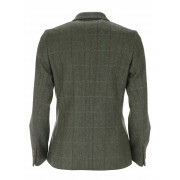 The beautiful green Cece blazer from Magee 1866 would be a classic and timeless addition to your daytime collection. 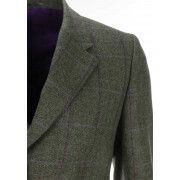 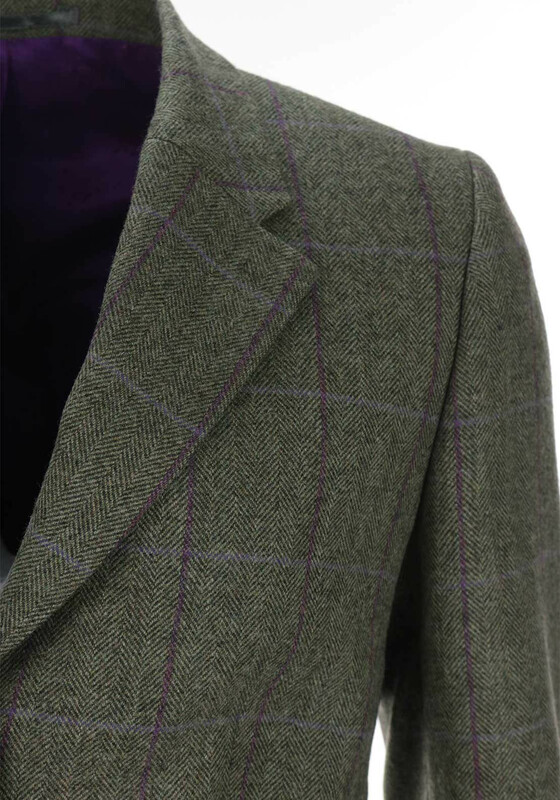 Made from herringbone printed Donegal tweed wool with a purple toned checked pattern throughout. 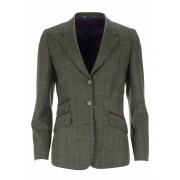 Designed with a fitted tailored shape and featuring contrasting purple suede trim on the lapel collar and front pockets. 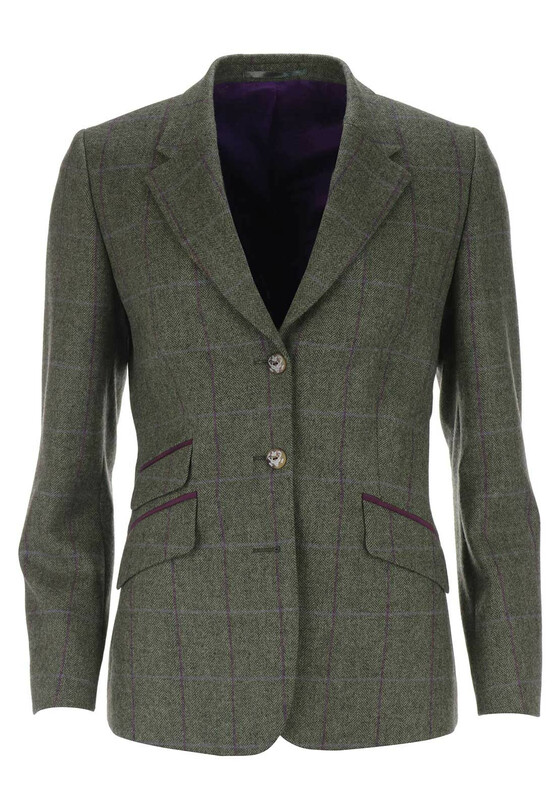 Stag head printed buttons finish the look. 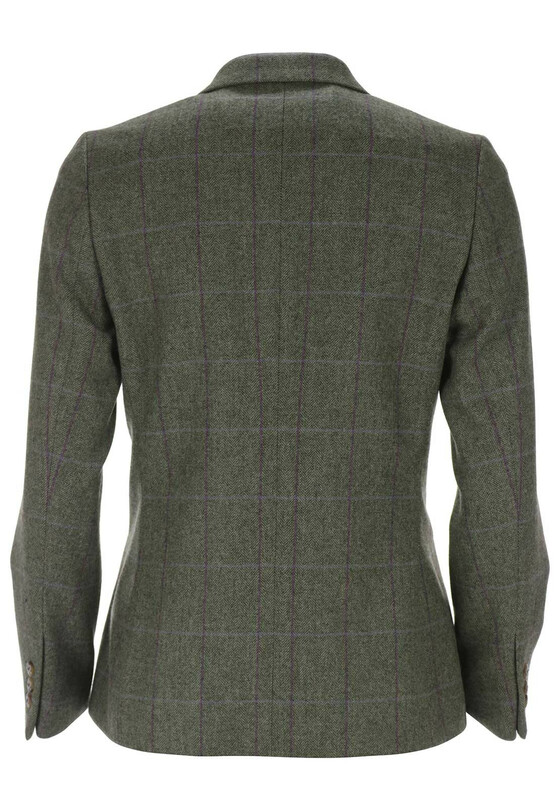 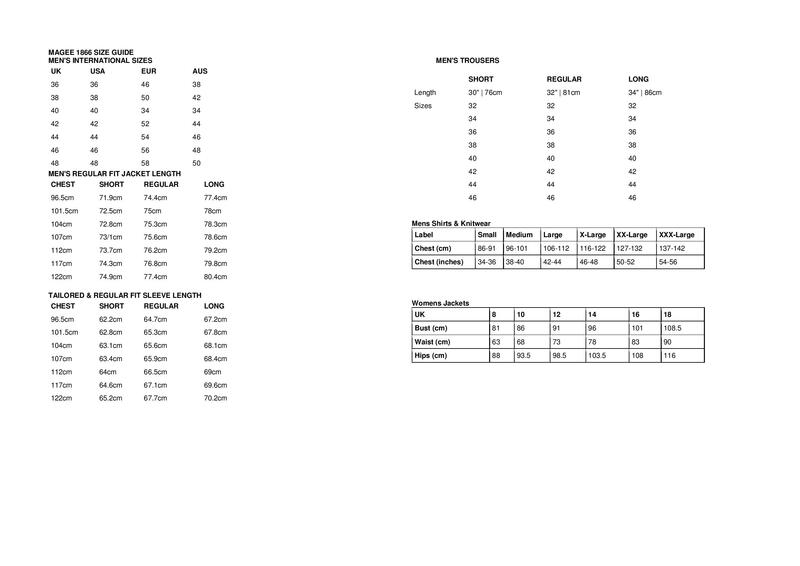 Please note: This brand has a neat fit, we recommend you purchase a size larger than you would normall buy.